In my years as a freelancer and staffer at various videogame outlets, I’ve had the pleasure of reviewing a ton of great games. In fact, this year I had the privilege of reviewing pretty much every “AAA” game that hit stores. I also review a lot of garbage, or games that are fundamentally broken in one or more aspects. Games that only through providence made it out of QA. I always try and remember though that every game, whether it’s an EA blockbuster or a one-man indie project, was someone’s baby. No matter what game you talk about, there is at least one guy or gal out there who put their all into it, even if the rest of the team couldn't be bothered to exert much effort. So I always try to approach criticizing a game from that angle. Escape Dead Island is a special case though. The game kicks off with a small prequel scene cataloging the events just prior to the beginning of the first game. Xian Mei of the original Dead Island plays Halo's Cortana to your generic Commando. After infiltrating a top secret lab (the only kind of labs video games know about) the two discover that YouTube commenters are right and a big corporation is in fact part of some Illuminati clone, yadda, yadda, yadda. Then a Tyrant or something kills you. 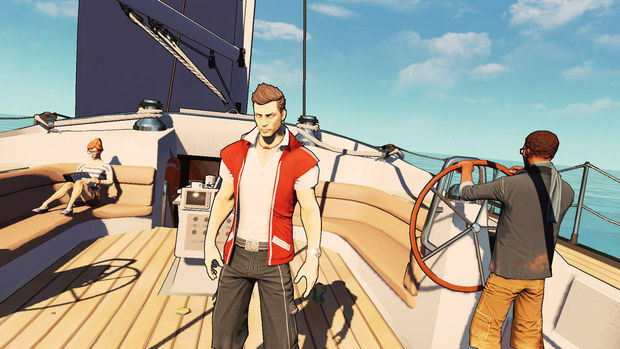 The real treat comes when you meet Escape Dead Island's star: the rich kid with daddy issues that is equal parts Frank West, Jason Brody, and Colonel John Konrad. He decides the best way to get his father to love him is to go to Banoi with his two friends/employees and solve the mystery. However, this game lacks the creative writing of Scooby-Doo and the plot only serves to loosely tie the haphazard gameplay together. The only vaguely interesting part of the plot is related to the increasingly tenuous grasp on sanity the main character has, but we’ll get into that a bit later. Okay, so the plot is a bit generic and uninspired. Common complaints at this point, so what about the gameplay? Well, Escape Dead Island seems to have a hard time deciding exactly what it wants to be. Is it a stealthy survival horror title like Alien: Isolation? Is it an over-the-top zombie-killing free-for-all with photography elements like Dead Rising? Is it a combination of stealth and action like State of Decay? Is it a commentary on the fragility of the human psyche like Spec Ops: The Line? An exploratory action-adventure like Castlevania: Symphony of the Night? It so badly wants to be all of those things, but fails terribly. In the beginning you’ll rely on stale stealth mechanics to channel that genre for good measure. The stealth sections exist solely just to be stealth sections. There’s never a sense of urgency or danger, just “If I don’t do the stealth then I lose.” This goes against any successful concept of stealth as the enemies are not smart or really ever too much of a threat. The photography elements are worthless as well, as there are no point or upgrade systems. 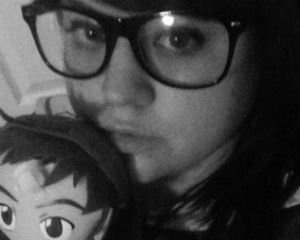 Your character will just comment on specific items you take pictures of, and they’re not particularly inspired comments either. Near the end of the game, you’ll have plenty of weapons and will be going Rambo on some zombies, but the controls are so mushy that it’s not very satisfying and makes the previous stealth gameplay seem even more cliche and needless. Oh, and the backtracking. Get a grappling hook? Time to backtrack. Find a gas mask? Better backtrack. With a game like Symphony of the Night, backtracking doesn’t feel so much like a chore because the gameplay is centered and focused to the point where it seems like natural progression. In Escape Dead Island, I couldn’t help but feel like it existed to pad more gameplay time on. The one somewhat unique thing this game has going for it is the growing insanity of the player character. As time goes on, his mind becomes more and more unhinged, as an increasing amount of hallucinations encroach into the game. It's actually quite interesting. 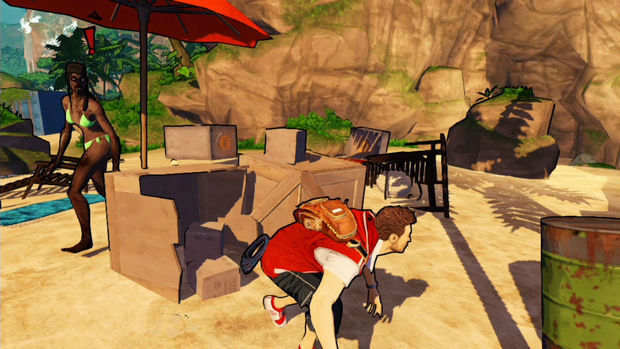 However, Escape Dead Island's pacing strangles the one element that could have set it apart as noteworthy. For the first quarter or so of the game, the insanity elements are few and far between and although they grow in note, it isn’t until the last quarter that they really blossom, but by then the build-up was too much and I had grown tired of the whole thing. I won’t ruin it because it is genuinely the one part of the game I found interesting, but unfortunately it was too little too late, and too static of an experience. If there had been a sanity meter a la Eternal Darkness, it truly could have saved the game for me. The visuals at least are non-offensive. They attempt to replicate the cel-shaded comic book appeal, but in this type of game, which tries to tell a gritty and tragic story, the graphic novel look is a bit of an odd choice. 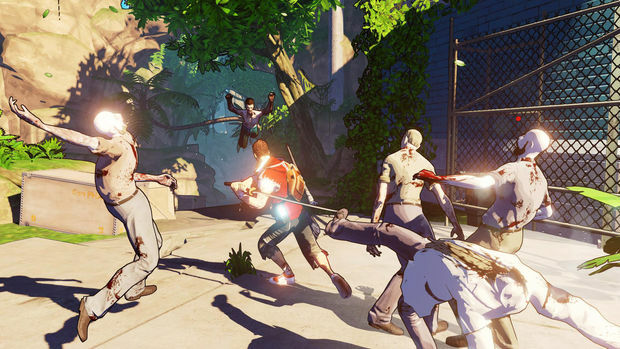 Unlike Sunset Overdrive which reveled in its zany disconnection from logic and the real world, or The Walking Dead, where its graphics are an homage to its graphic novel origins, Escape Dead Island seems content to piggyback off of the popularity of cel-shaded games that are far and away better than it could ever be. Last, but not least, the replay value must be discussed. It consists of a host of audio files and data on BigBad Co. experiments and postcards. There are also a ton of pictures that must be taken in order to see everything. The collecting is not terrible, but it gives nothing in return as there isn't anything to really connect you to this world enough to care about the tidbits of info you're after. Unlike the random notes and books in Dragon Age: Inquisition, or the audio logs in the BioShock series, I didn’t ever find myself caring enough to learn more about these people, thus making the collectibles completely superfluous. 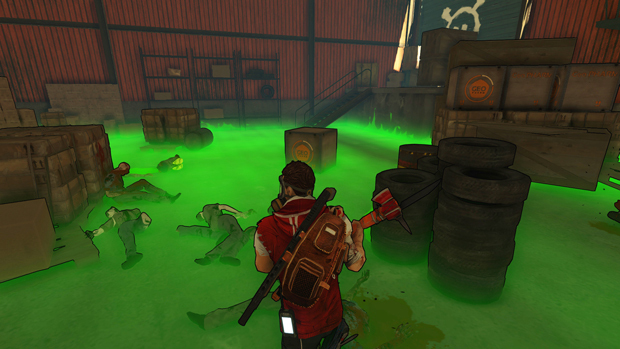 Escape Dead Island is what would happen if after all the big AAA games were born, after the doctors all shook each others' hands and the bouncy babies went home, someone scooped up all the afterbirth and tried to cobble together their very own abomination. The game in and of itself is serviceable enough, but it’s the lack of any soul that makes it so infuriating to play. There are plenty of games that in theory play worse that I enjoy infinitely more.